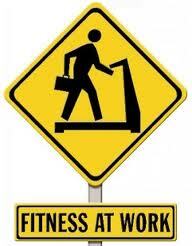 Conduct a workplace walkability assessment to ensure a safe and pleasant environment for walking. Offer secure bicycle storage and showers for employees who actively commute. Implement flexible scheduling where feasible —making it easier for employees to carve out time for exercise while juggling work and home responsibilities. Make stairwells more appealing with paint, artwork, and motivational signage. Negotiate a corporate discount with local gyms; low-cost gym membership benefits are sometimes available through medical benefit vendors. Encourage workers to take brief, 2-3 minute fitness breaks throughout the day for brisk walking, stretching, or stair climbing. Offer free or reduced-cost pedometers to employees. Run a simple steps-per-week team competition to drum up peer support for increasing daily steps. No money? Invite your health benefit vendors or local businesses to sponsor this purchase in exchange for co-branding. Sponsor or promote employee participation in community events like 5K or 10K runs, basketball leagues, or charity walk-a-thons. Organize lunchtime walking, running, bicycling, or yoga groups. Make standing or pacing vs. sitting at long meetings an acceptable option. Encourage workers to be active at their workstations as much as possible — by stretching, standing while on the phone or pumping out a few desk pushups while viewing a web conference.